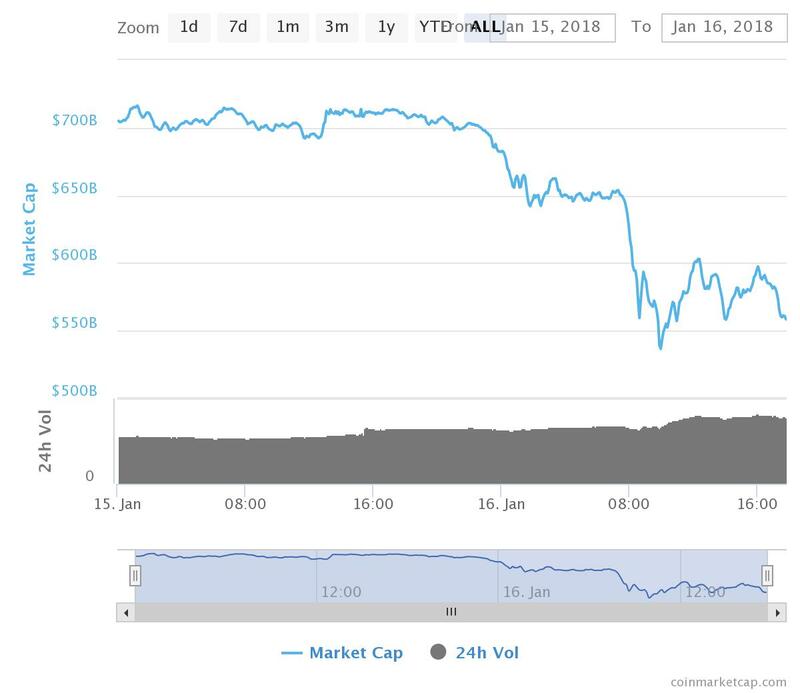 At the time of writing the entire Cryptocurrency market capitalisation is down $170 billion in the last 24 hours. It’s not all doom and gloom however as this is reminiscent of the drop we saw late December and is actually not as severe. In late December $200 billion was wiped off market capitalisation which bottomed out at $554 billion we are currently sat at $558 billion having fallen from a lower height. This could be the start of a pattern so lets hope next time the traders i’m following get it right next time. When this bottoms out it looks like it will be a good time to buy, that’s if late Decembers recovery is anything to go by. Also on the positive side is that as of January 2017 the market capitalisation was only $16 billion. I’m going to keep faith in the traders i’m copying and keep funds to one side for the ICO at the end of the month. If you are going to invest feel free to comment below it would be good to see how your investment plays out! Hi Hamish. If this is it https://collectorcoin.io/ then they look like a scam. Have a look at the team and there’s pretty much nothing on them around the web. The ICO is supposed to be happening as we speak. I’d stay clear.